… an auto allowance of $7,200 a year plus a mileage reimbursement for most trips at 57.5 cents a mile. … An independent committee that reviewed supervisors’ compensation found none of the other comparable counties it surveyed allowed such double-dipping. The committee recommended ending the mileage reimbursement except for travel out of county. The committee’s position was buttressed by county calculations showing the auto allowance alone covers the costs of operating a car for county business, even for Piepho, the supervisor with the most mileage. Nevertheless, supervisors decided to keep the auto allowance and mileage reimbursement for trips outside their own districts. In Piepho’s case, she will keep almost the entire mileage allowance. Based on her 2014 travel expenses, 93 percent of her trips have been to destinations outside her district. So the board’s decision means that she will retain mileage reimbursement of about $4,400 a year. Under the committee’s recommendation, it would have been trimmed to about $1,580. 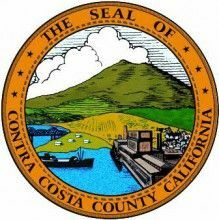 MARTINEZ — After giving most of their employees raises of about 4 percent in contract negotiations this year, Contra Costa supervisors Tuesday decided they deserved something more: a 33 percent hike, boosting their annual salaries to more than $129,000 a year. By a 4-1 vote, the supervisor salaries will now be permanently tied to those of Superior Court judges, which is a common practice among county boards throughout the state and eliminates the need for the elected bodies to vote themselves an unpopular pay bump. But after critics quickly rounded up 40,000 signatures opposing the pay hike, the supervisors voted in January to rescind the entire raise. Last month, they approved a plan in which their salaries would go up in phases by a total of 20 percent, to $116,840, with the final increase on Jan. 1, 2018. The controversy could haunt the political futures of some of the supervisors, particularly Mary Piepho, the ambitious daughter of former state Sen. John Nejedly, who is now deceased. San Francisco Chronicle columnist Chip Johnson, who normally doesn’t pay much attention to Bay Area bedroom communities, lampooned Piepho in January for insisting that the $33,000 pay hike was a “salary adjustment,” not a raise. But this ridicule didn’t stop Piepho from leading the push to have Contra Costa supervisors get both a flat vehicle reimbursement and a per-mile repayment.